RT type introduced on Saturdays. RT type introduced on Mon-Fri.
Saturday only Elmers end (ED) allocation introduced. 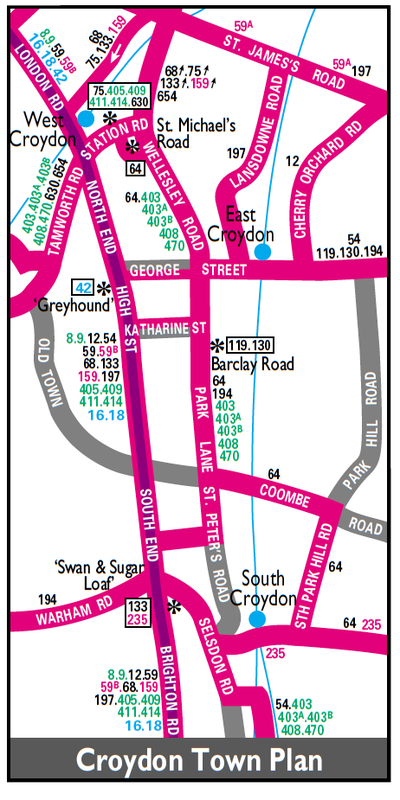 Mon-Fri daytime extended from West Croydon to South Croydon Garage. Sunday withdrawn between Blackheath and Woolwich. 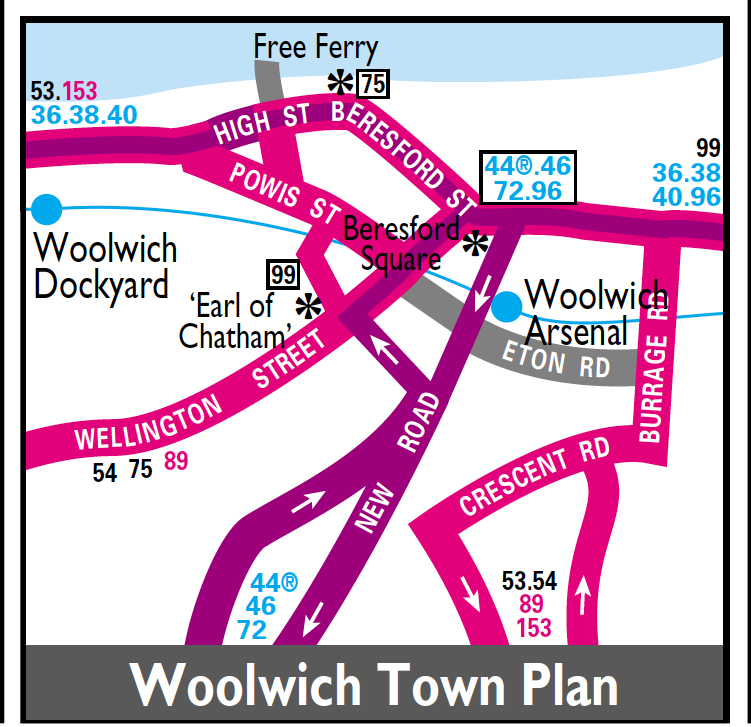 Elmers End (ED) allocation withdrawn - a new allocation on Route 157 filled the gap. Sun withdrawn between Norwood Junction and West Croydon except for a few early journeys - RM allocation added on this day. 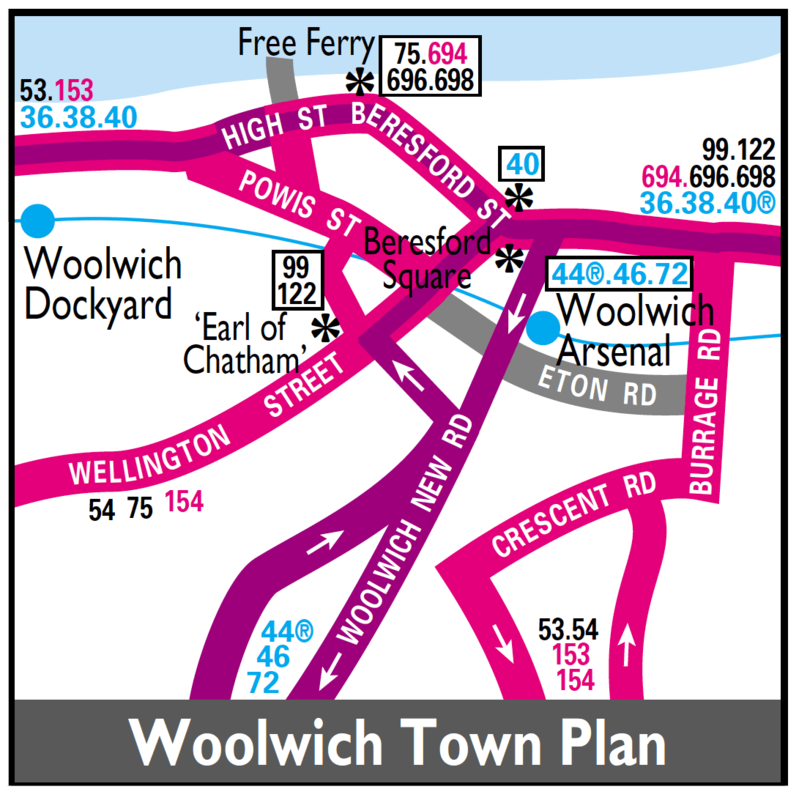 WOOLWICH Free Ferry (Mon-Sat) - BLACKHEATH (Suns) - WEST CROYDON Bus Station. Converted from Daimler to Leyland Titan operation. Sunday only Elmers End (ED) allocation introduced. 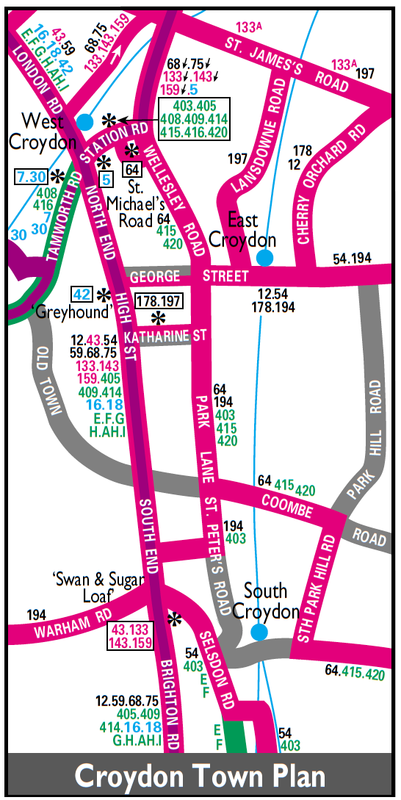 BLACKHEATH - WEST CROYDON Bus Station. Withdrawn between Blackheath and Woolwich. 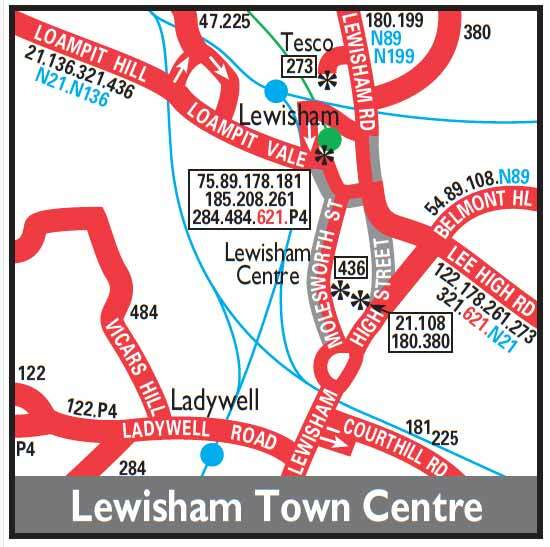 Diverted in Sydenham via Mayow Road and Woolstone Road instead of Bell Green and Perry Hill and also re-routed at Catford via Route 1 to Lewisham and further extended Saturday shopping hours to Surrey Quays via Route 47. 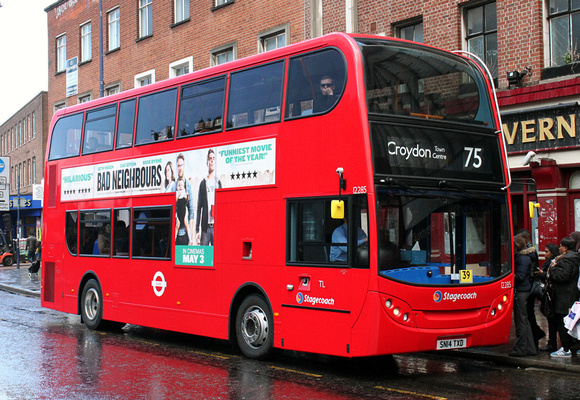 Minibus operation on Sunday withdrawn in favour of big bus single deck operation. LS113 subs for the normal type - note the blind and board in the windscreen conflict - a sign that standards in the eighties were slipping, Obviously no displays were available on the LS for Route 75 but it would just a few turns to change blind to blank. Withdrawn between Lewisham and Surrey Quays. Daily converted to single deck operation. Daily reverted to double deck operation.